The phrase molon labe means “Come and take”. It is a classical expression of defiance reportedly spoken by King Leonidas I in response to the Persian army’s demand that the Spartans surrender their weapons at the Battle of Thermopylae. In 480 BC King Xerxes I of the vast Persian Achaemenid Empire invaded mainland Greece. King Leonidas I of Sparta and 300 Spartan as well as Thespian and Theban hoplites sought to delay the huge Persian Army at the Pass of Thermopylae. The Spartans and their allies were invited to lay down their arms and submit to the Persian king and become his vassals. 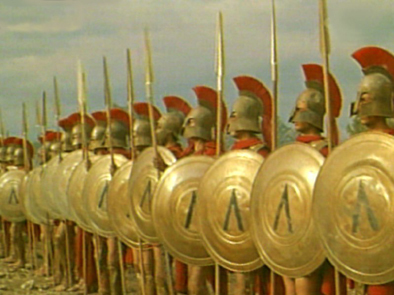 The Spartan response to the invitation was if you want our arms you’ll have to come and take them. The Persians did come and take them but at a tremendous cost. The Battle of Thermopylae has come down through the ages where the few have stood against the many on principle and perished as well as a symbol of free men resisting a dictator. Some might argue that President Obama is hardly a King Xerxes yet his contempt for the Constitution seems obvious to anyone with eyes to see. The citizen soldiers of ancient Greece with the exception of the Spartans who were professional soldiers were a militia who were called out in time of war. They supplied their own armor and weapons. When Xerxes invaded most of the city-states banded together in a citizen army in order to defeat Xerxes and maintain their own systems of governments rather than have the government of Persia imposed upon them. The idea of a well-regulated militia goes back a long time. During our American Revolution the militia was called out (they brought their own muskets) to fight the redcoats but the redcoats were only the soldier representatives of what the patriot\rebels saw as British tyranny. 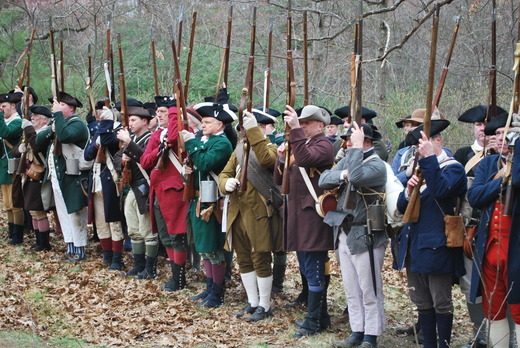 The Battles of Lexington and Concord were fought because the redcoats were coming to confiscate the militia’s arms. In other words, to come and take them from citizens who had every right to own them. The 2nd Amendment grew out of a concern that a government could become tyrannical and if it did the well-regulated militia would be there to stop it. The Obama administration’s knee jerk response to Sandy Hook is an attempt to disarm honest, law-abiding citizens of their only means of resisting tyranny. The citizen’s response is molon labe.